Governor Rick Snyder has two bills on his desk that if approved would make it legal to grow industrial hemp in Michigan for research purposes by the Michigan Agriculture Department. It would also help clear up the confusion about hemp by removing the word from the definition of marijuana under state law. 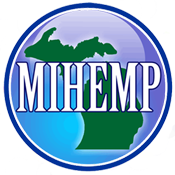 Officials from the Michigan Industrial Hemp Education and Marketing project say that hemp is commonly associated with marijuana because they are both popular names for the cannabis plant. Growing hemp in the United States is currently illegal for farmers, but the 2013 farm bill made it legal for states with the legislation to grow it for research. If House Bills 5439 and 5440 are passed, MIHEMP leaders say it could bring farmers one step closer to legally being able to grow hemp. Hemp and marijuana have different genetics. The two also differ in the way they are grown, what they’re grown for, and their THC content. The THC content in hemp is only around 0.3%, while medical marijuana produces anywhere between 5- 30% THC. Swift says that smoking HEMP would not make you high, but it could make you sick. “You’re not going to like it, it’s going to give you a heck of a headache and I have heard claims of diarrhea as well,” said Swift. But it does have a lot of uses for things like food, fuel, beauty care products, clothes, and much more. “The amount of money that’s on the table, I mean right now I think it’s a $500-million industry and all of that is coming in from overseas and Canada,” said Rob Sirrine from MSU Extension. Yana Dee owns a women’s and children’s clothing store in downtown Traverse City. She makes and sells the clothing with many organic materials, including hemp, from all over the world. “I think it would benefit so many people in industry jobs, being able to be more self-sufficient, self-sustaining, and our ability to provide what we need for ourselves rather than sourcing it from other countries,” said Dee. Sirrine says he’s already talked with many farmers in northern Michigan who are interested in growing hemp. MIHEMP says the Michigan climate is good for growing hemp. They say it’s been grown in the same kind of soil that corn is.